RockoRocks, please stop spamming about adding spacecrafts. You have already asked for help many times, and if someone can help you they will. You do not need to keep asking with every post. Wow, such low diameters are not very realistic. The KSP universe uses slightly different physics (or that's the justification anyway). The truth is that the sizes have to be unrealistic for the game to be fun and accessible to a large audience. If the sizes and distances were truly realistic the game would be extremely hard and it would take forever to learn how to play, and most people would just give up. If you want a truly realistic spaceflight simulator, go try Orbiter. Then you'll see why KSP does things the way it does. 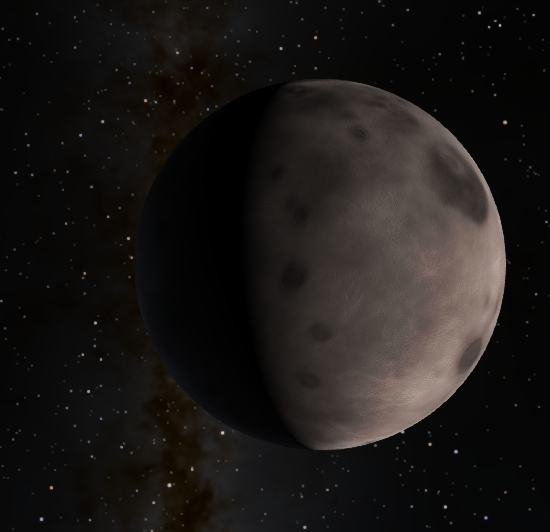 I am unsure whether to keep these values for Space Engine. I changed them and currently they are very similiar to the real solar system (as the Kerbin system is an analog of the real Solar System). 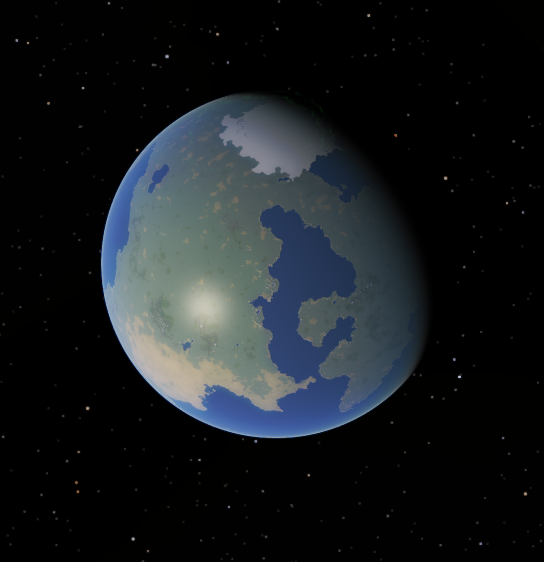 Another odd thing is the fact that Kerbin doesn't have any clouds, which makes me unsure whether to iclude these or not. The Addon is done and I will post it here soon. 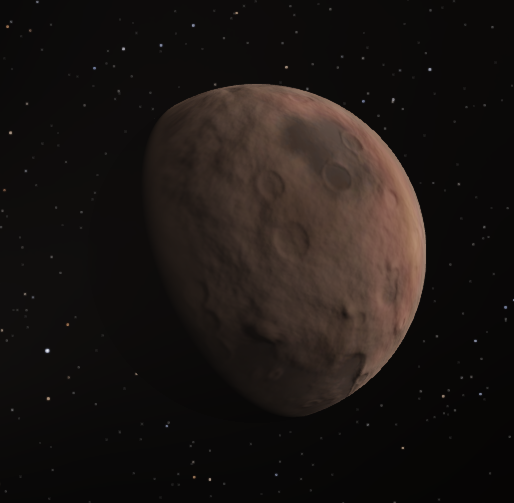 Textures for Kerbin, Mün, Minmus, Duna, Laythe and Vall are ripped directly from the game. 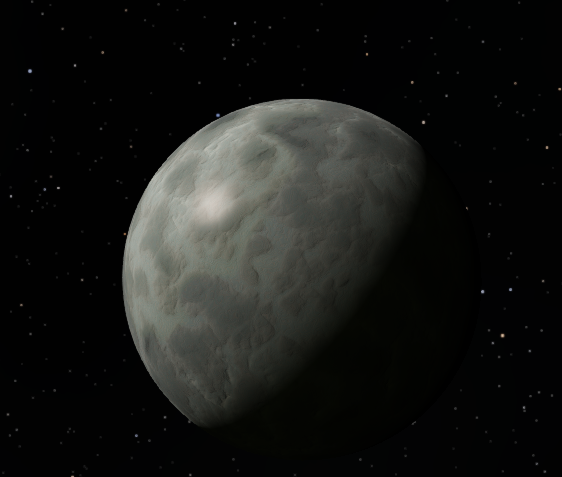 The other planet textures are made directly from several screenshots (except Pol, Bop and Gilly). 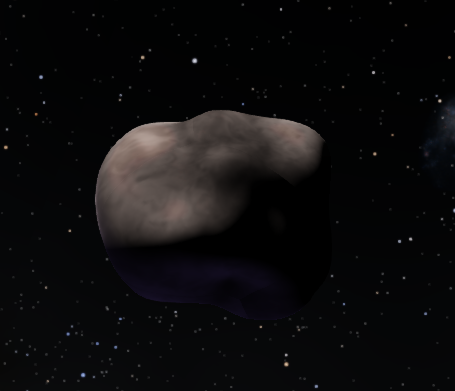 Gilly, Bop and Pol are generated as procedural asteroids. What do you think? Keep in mind that i'm constantly building new planets and systems. My next addon will be the Lylat system, which I made in Celestia, and I'm currently porting it. Ike is definetly more round-shaped than that. 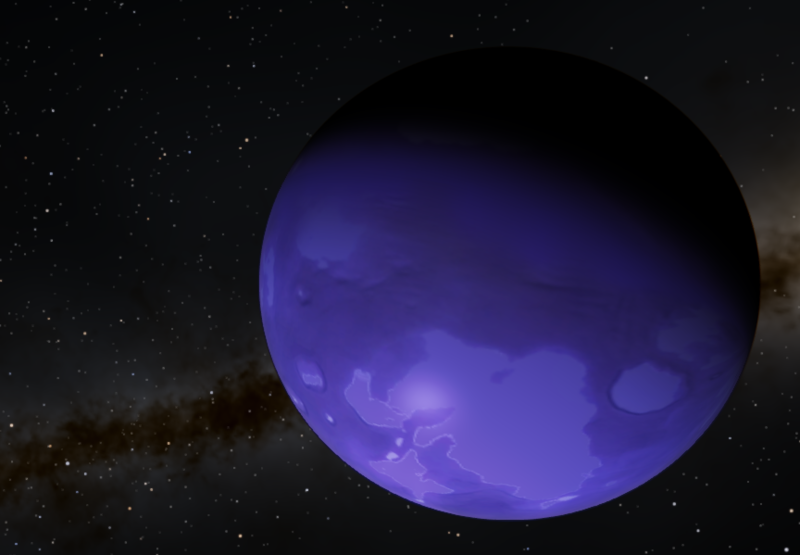 Jool looks nice, but am I seeing it having some rings? Other than those, great job! I recently started playing KSP and finally learned how to get into orbit. I sent Jeb up in a somewhat crappy ship that was designed to get him in and out of orbit without breaking or exploding (much). I got a nice circular orbit and got cocky and EVA's Jeb. Unfortunately I had not realized when building the ship that the solar panels I had placed on the capsule could move and knock Jeb off the ladder! I spent several white-knuckled minutes trying to get Jeb back in and finally did by ramming him into the ship so it did a half-flip and moved the panels out of the way. Amazingly, the rest of the mission proceeded without a hitch and he actually survived! I then proceeded to redesign the ship and accidentally trap Jeb in orbit without fuel. 1. I might decrease Ike's oblateness. 2. I added rings to Jool because I thought it looked cool. You can remove them if you want. 3. 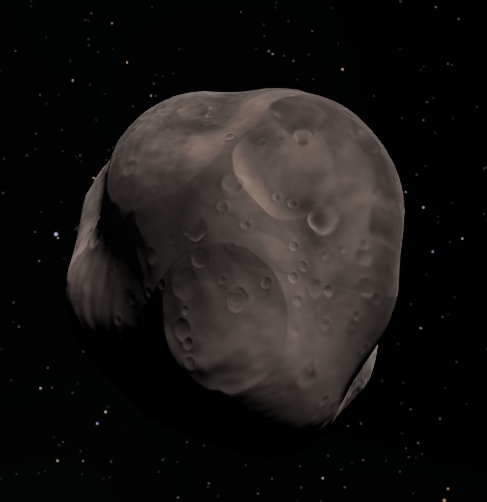 I could not find a better texture for Tylo - if you have one send it please - it is based purely from some low-res screenshots. 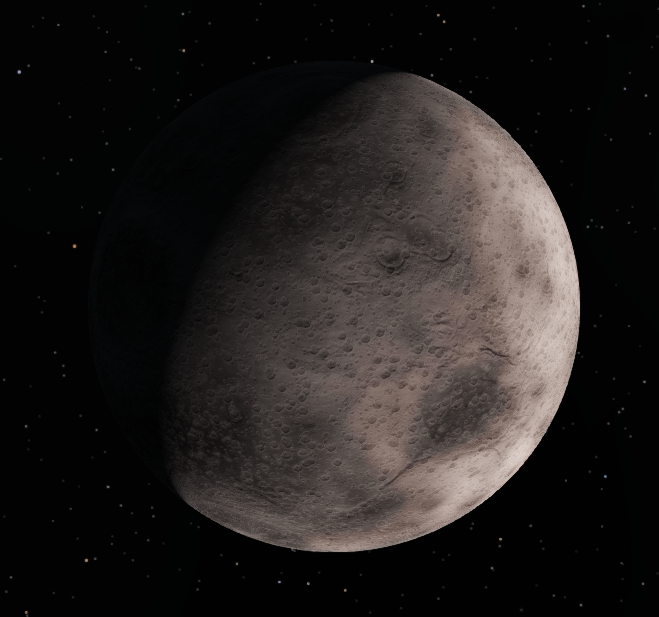 I could not find a better texture for Tylo - if you have one send it please - it is based purely from some low-res screenshots. 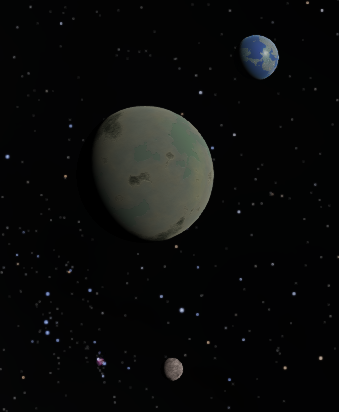 It has high-resolution maps of all the solar objects in KSP. Can you use it's map for Tylo? I might also create a super hi-resolution texture for every body! Because this is beatiful! No problem. I'll be sure to download the system when it's finished. 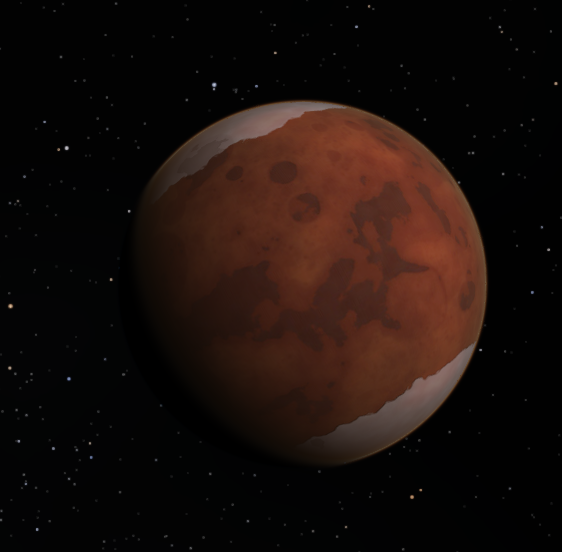 In fact, I am even planning to redesign the entire Kerbol System using these textures. Keep in mind they will be extremely large and the file size will increase ALOT. (one texture is about 11 MB!!) Sorry, I haven't figured out how to work with Cube Maps yet, so there will be one texture for every planet. This will provide extreme detail - almost exactly as in the real game. EDIT : I had to cut down the textures half in size to make them work. Otherwise they were to large for Space Engine to process. The textures are still very detailed and will be much better than the previous version of my addon. Look out for it! I decided to show off my space station. 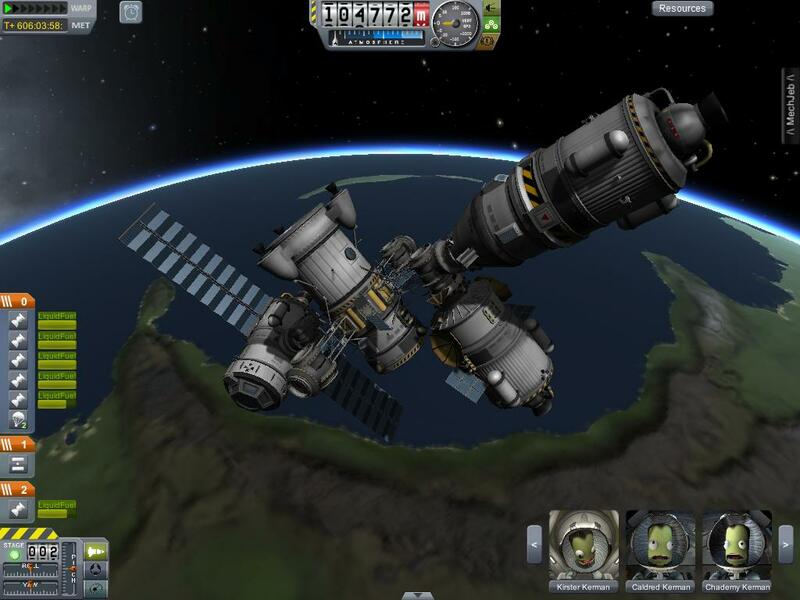 It currently houses 11 kerbals and has 3 modules currently connected to it. It is laggy as heck, but it's pretty. My own space shuttle called the Frontier going to 'land' on the Mün. Again thank you very much for providing this amazing website. It will be extremely useful for future texture maps. Shouldn't you move your progress on a ksp system for SE to the addon development thread? Or since you have a released version, you could make a thread of your own in mods and addons. Okay, that sounds like a good idea. I am making a thread for my addon. 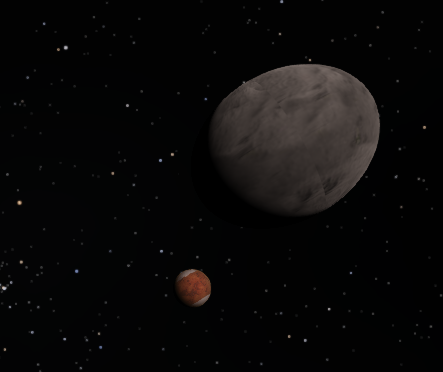 Somebody generated an image of SE analog of KSP bodies - for SE, of course, but the image is too big to post it here. At least i have the temporary link on it. Oh cool a KSP thread!